The first stop in our favorite things series is rainbows. 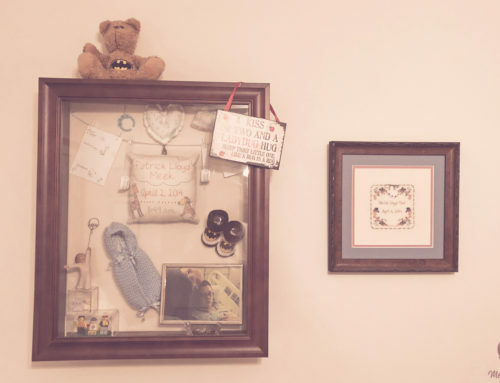 In the world of pregnancy loss and pregnancy after loss, rainbows signify the baby born after a loss: the rainbow after the storm of loss and grief. 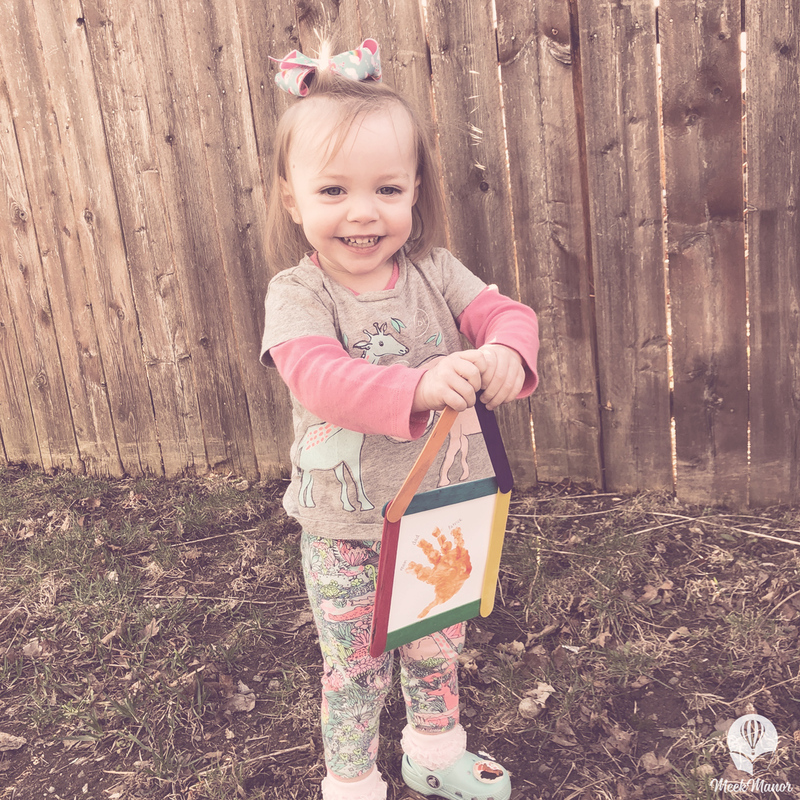 I didn’t really embrace the whole “rainbow baby” thing while we were pregnant with Stitch, but this spring so many absolutely adorable baby clothes with rainbows kept popping up, and I started purchasing some. Turns out, Stitch loves rainbows. And sometimes, with rainbows come unicorns. And she really loves unicorns. We ruled it out as a Halloween costume, but it’s still one of her favorite things. Besides being “pretty,” rainbows give a lot of opportunity for chatting with the littles. You can talk about colors, objects that are different colors, and of course the science behind a rainbow. We also talk about rainbows as a sign of hope and promise. And the addition of unicorns to the mix gives a bit of fantasy and fun. 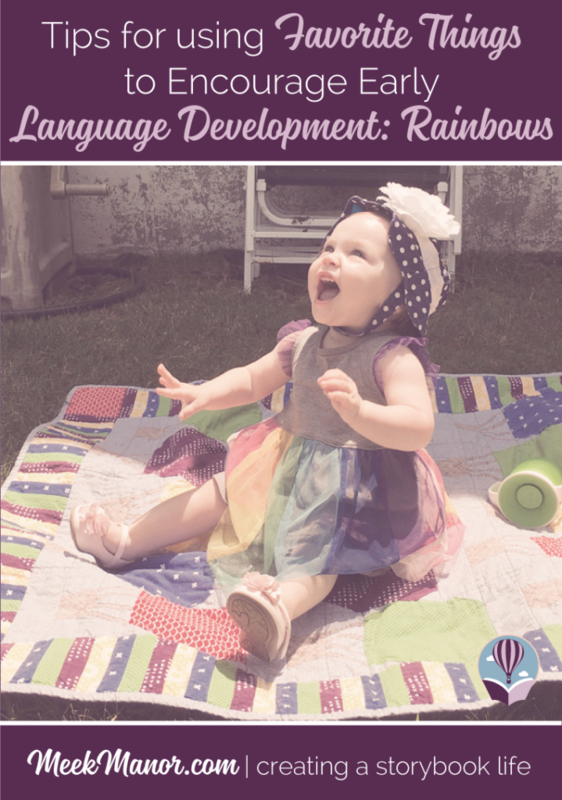 Take a look at the top five ways we’ve incorporated activities with rainbows that encourage language development. We purchased Planting a Rainbow at the Tower Hill Botanical Garden on one of our adventures after our son died. 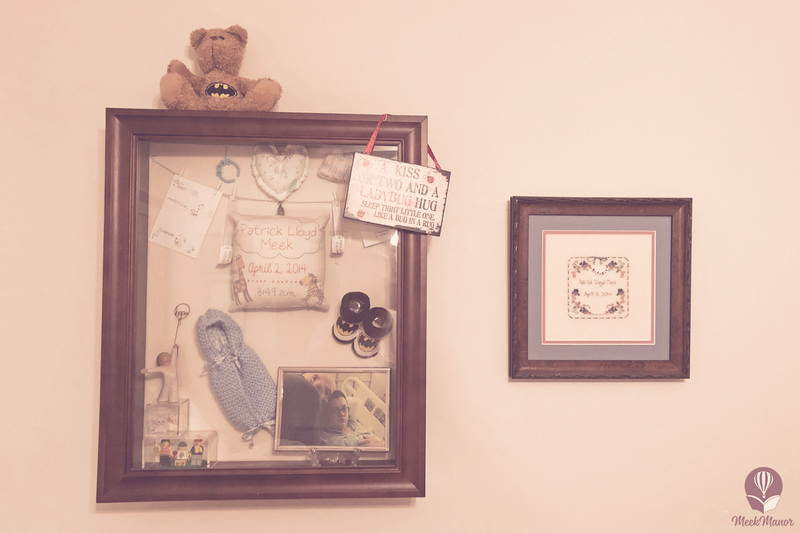 It was officially a part of the “onesie project,” in which we collected onesies from the different places we visited in hopes that our next child would wear them. Tower Hill Botanical Garden didn’t have any onesies, so we got this board book instead. It seemed the perfect little souvenir. 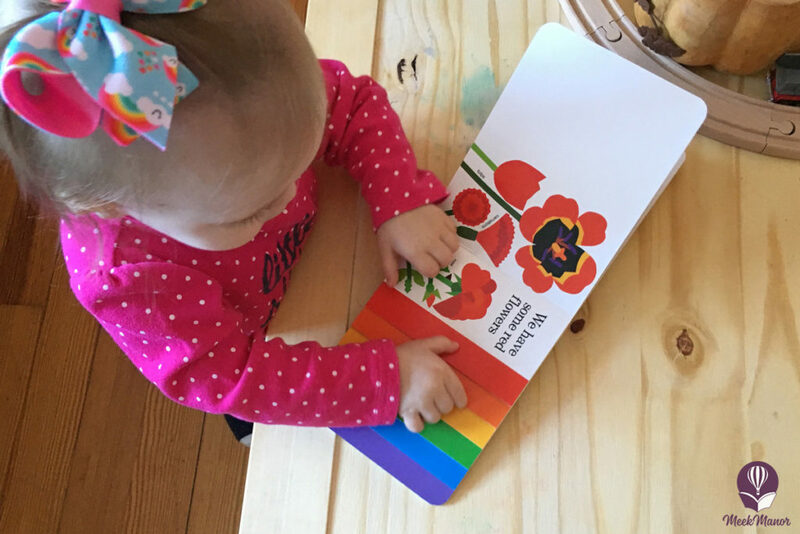 Planting a Rainbow is a sweet book about a mother and child who plant a rainbow of flowers and watch them bloom–starting with buying bulbs, planting them in the fall, and ordering seeds to plant in the spring. 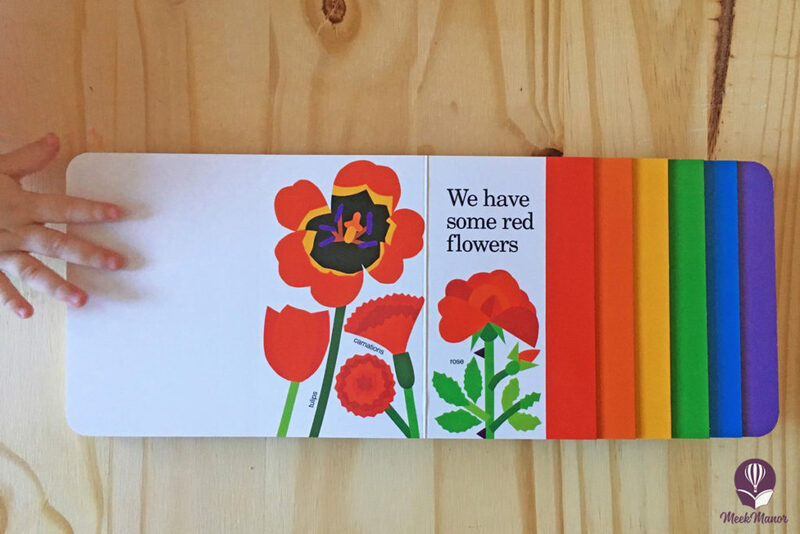 It identifies flowers of different colors, shows the process of planting and caring for flowers, and breaks down the flowers by color with pages cut to make a rainbow at the end of the book. 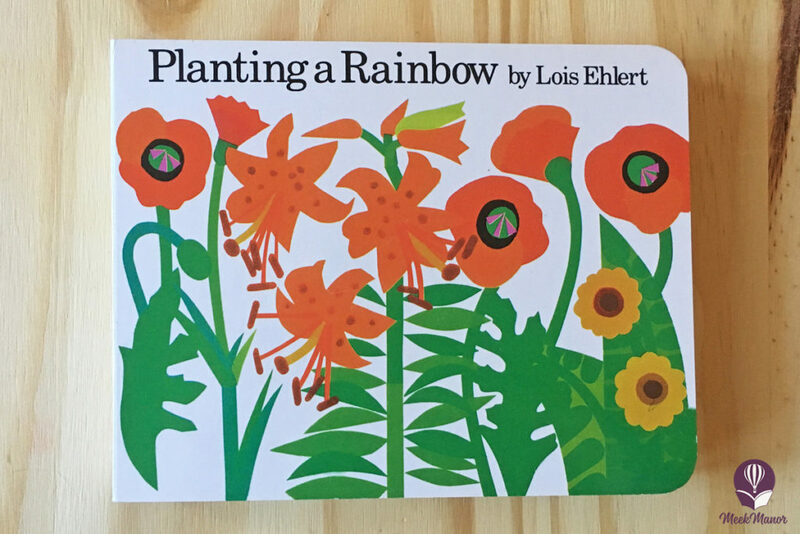 Lois Ehlert wrote and illustrated this book, and the illustrations are bright, simple, pleasing, and inviting. 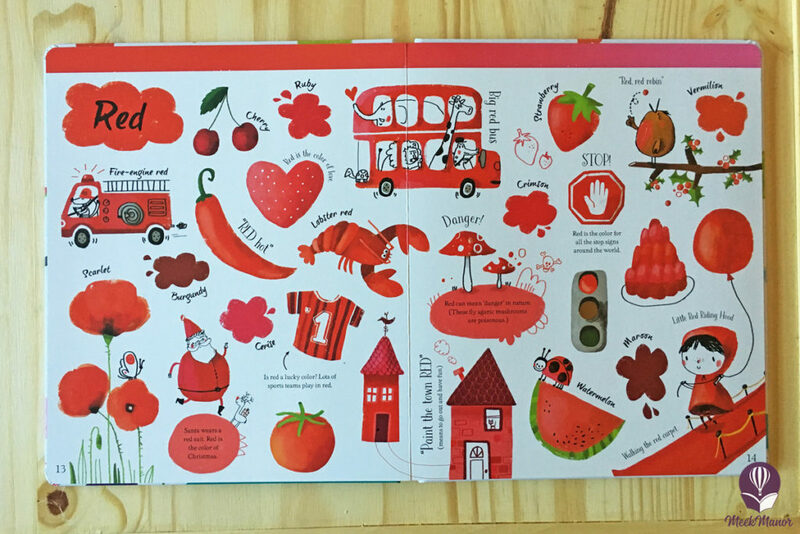 It can be read quickly, focusing on the planting/growing process, or more slowly, stopping to point out the elements in each illustration. It exposes even the littlest ones to over 100 words. That’s Not My Unicorn is the latest book in the That’s Not My… series from Usborne Books & More. We love this series of books and own at least ten of them. The touchy-feely bits of the book make them so inviting to the two and under crowd. 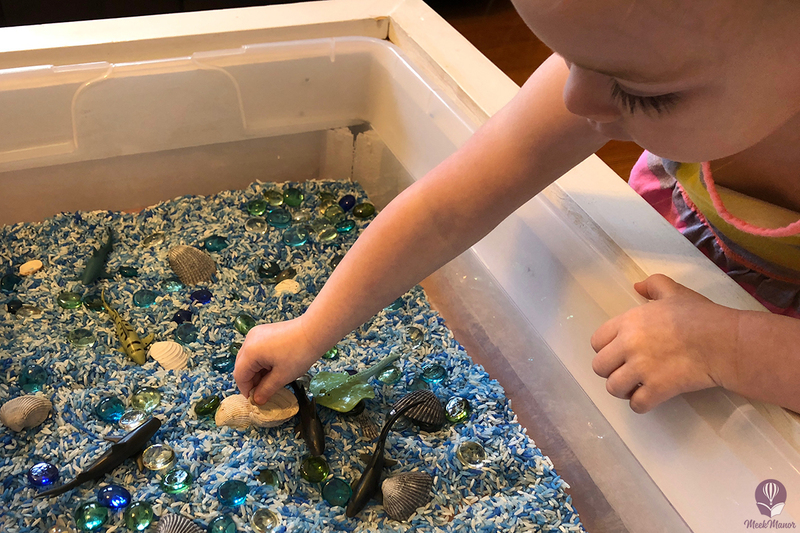 And that sensory element aids in their development–both with general language as well as cognitive skills. Since the That’s Not My… books are available in so many different topics, there’s sure to be at least one that is one of your child’s favorite things. Oh, goodness. 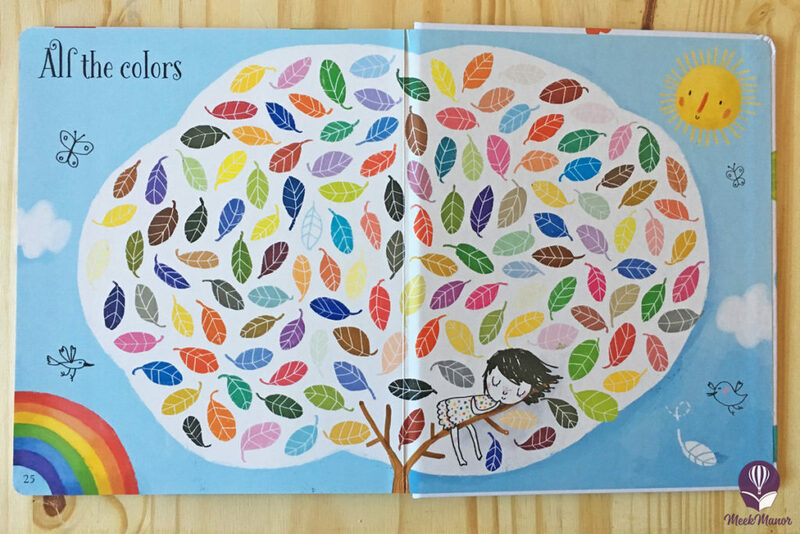 I could write so much about Usborne’s Big Book of Colors. It offers so much that each time we look at it, we find something new–an absolute “I spy” treasure. 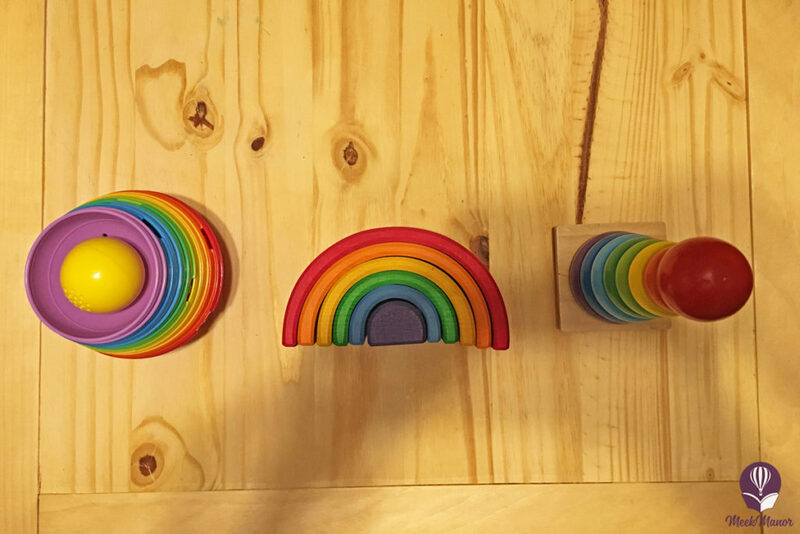 Besides highlighting objects in each color of the rainbow, it also talks about the color wheel (and it turns! ), mixing and blending colors, and the mood of colors. This large, sturdy board book with heavy, laminated pages will be one that you and your child will return to for years. Usborne Books & More is known for their lift-the-flap books–offering a range of topics and age levels. What Makes it Rain? 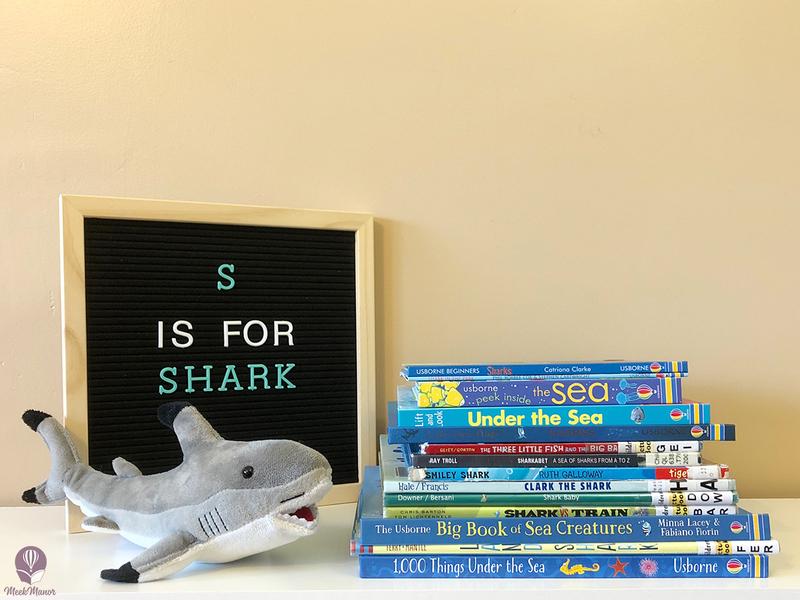 is geared towards 3+, but I’m a firm believer in exposing young children to books above their level–especially when it’s a topic that interests them. What Makes it Rain? 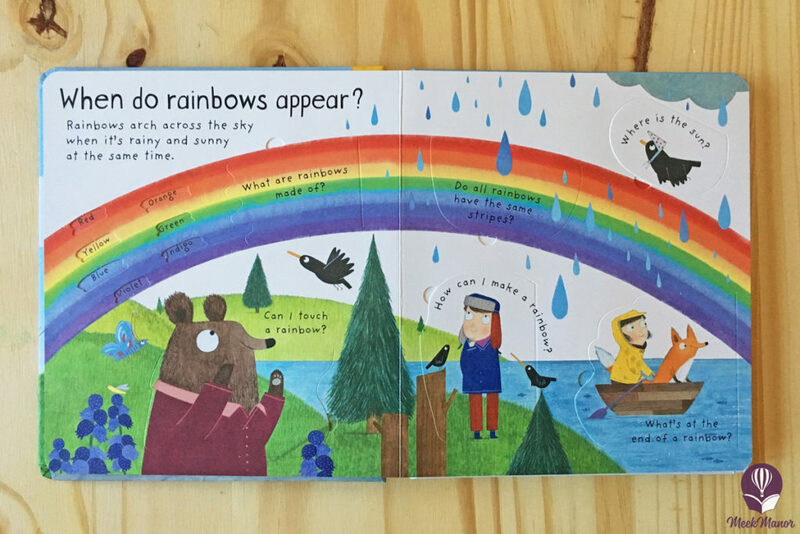 explores that question, plus “When do rainbows appear?” “How is the sun hot?” “Why does lightning flash and thunder rumble?” “Where does wind come from?” and “Why does it snow?” Children love lifting the flaps to find the answers and make discoveries under the flaps. 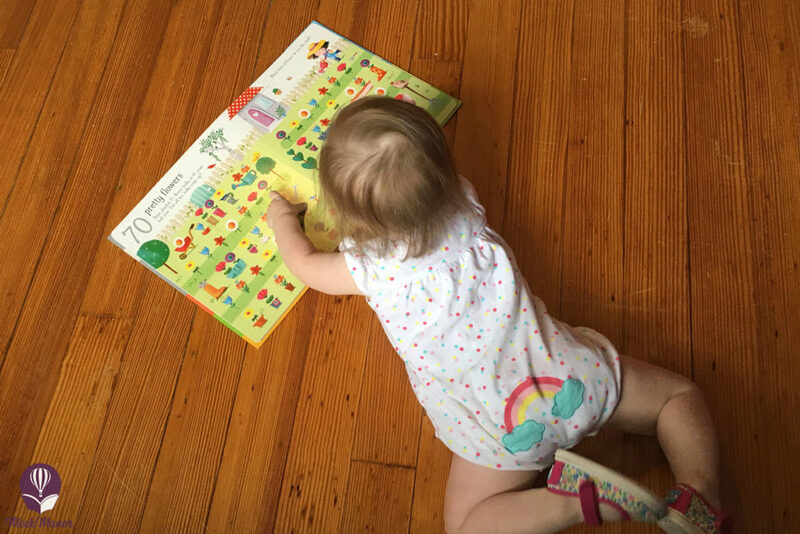 With thick, sturdy pages and flaps, the lift-the-flap books can even take a little abuse from little learners. 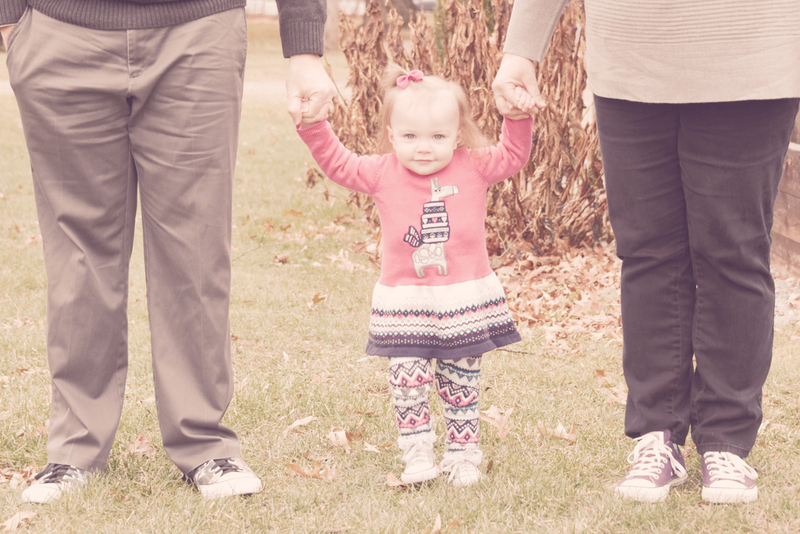 Getting an infant/toddler dressed or changing a diaper can become so routine, but it’s a perfect time to practice language and conversation skills. While getting Stitch dressed, we talk about what we’re doing—taking off her pajamas, putting on her socks, etc. 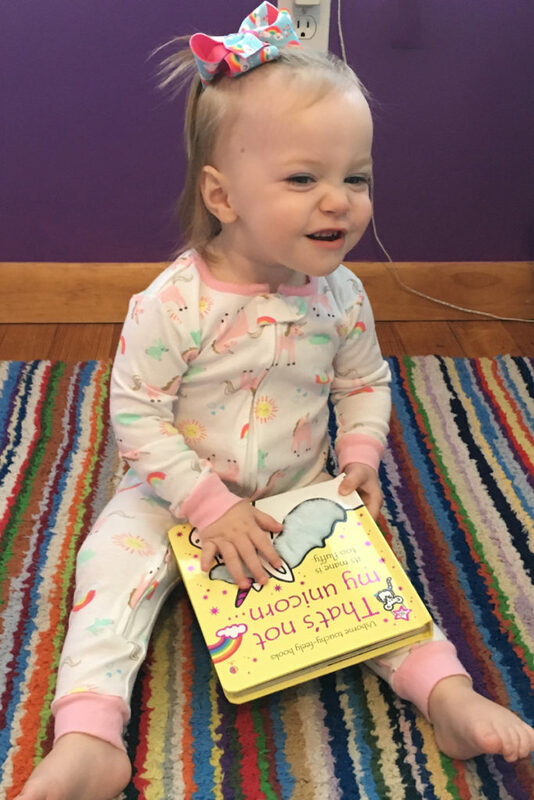 I’ll ask her, “Where are your feet?” or, “Show me your belly button.” We can get silly, and I’ll ask, “Do your pants go on your head?” That time spent at the changing table gives so many opportunities for language development throughout the day. 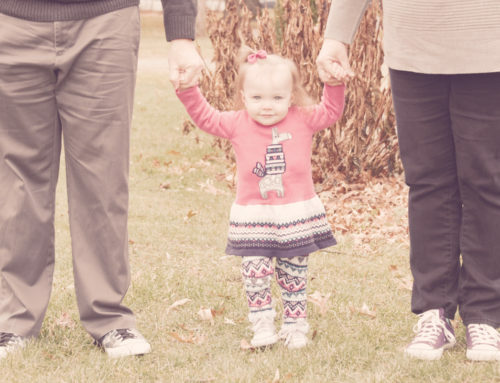 Once a child has developed some favorite things, she may look for those in her clothing options. This gives more opportunity for language development, as well as independence. Stitch started choosing her own clothes a little after she turned one. I’d give her two things to pick from (“Stitch, do you want to wear your train shirt or heart shirt?”), and she’d choose one, often pointing to the favorite thing she wanted to wear. Now, at 19 months, she often knows what she wants to wear, and if I don’t offer it, I get a firm, “No,” or head shake. If she knows how to say the word for what she’s looking for, she’ll tell me. Otherwise, I ask her questions to figure it out. For example, “Do you want to wear an animal?” If she answers yes, “Do you want monkeys or elephants?” For each of those, she knows the sound they make, so she’ll likely answer me with that. Or, she’ll say no, and we’ll continue 20 questions. She’s developed quite the sense of style. 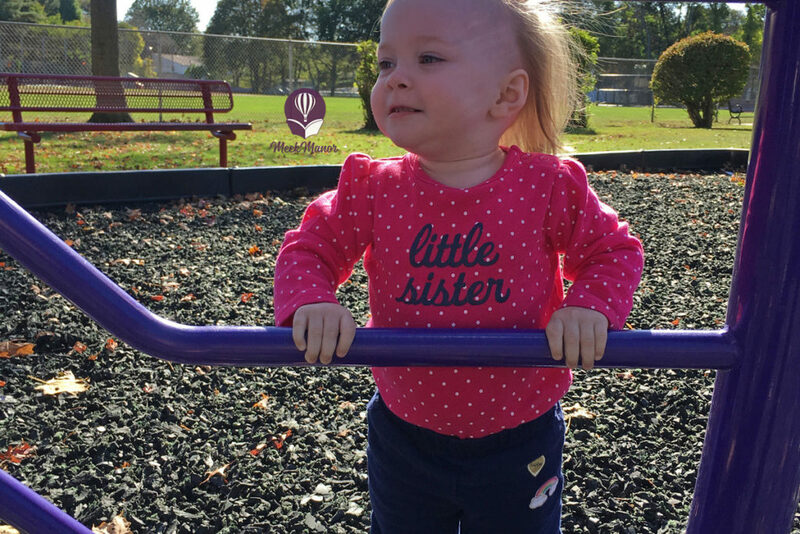 Some of her favorite outfits have multiple “favorite things” on them, and she’ll point them out throughout the day. When she sees new people, she’ll point again, telling them what’s on her clothes or looking for them to label the graphics. Clothes and accessories lead to some really fun exchanges. 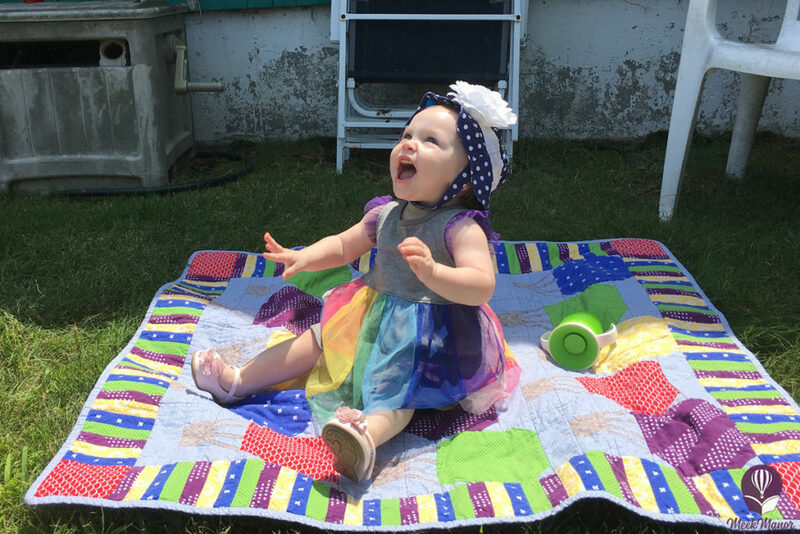 Since she loves rainbows, she often chooses clothes with rainbows on them. These are currently some of her favorites (and a few from summer that we just packed away). Check out all the different versions of Over the Rainbow available! I’m sure there are even more. Sadly, I don’t think we’ve seen a real rainbow in nature with Stitch. 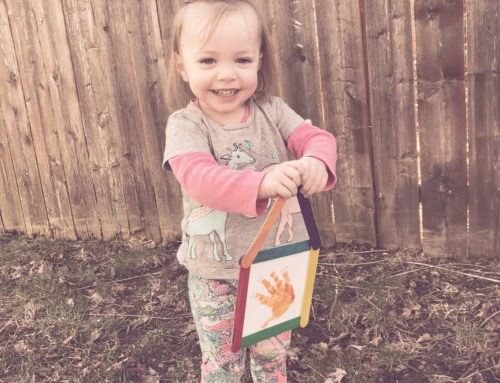 I can’t wait for the day that we can show that to her and talk about all we’ve learned about rainbows. In the meantime, she’s seen many photographs of rainbows and knows immediately what they are. She points them out when they scroll across my Facebook newsfeed or on the photo screensaver on the computer. I’m also looking forward to starting to do some rainbow crafts with her, which will probably happen soon. 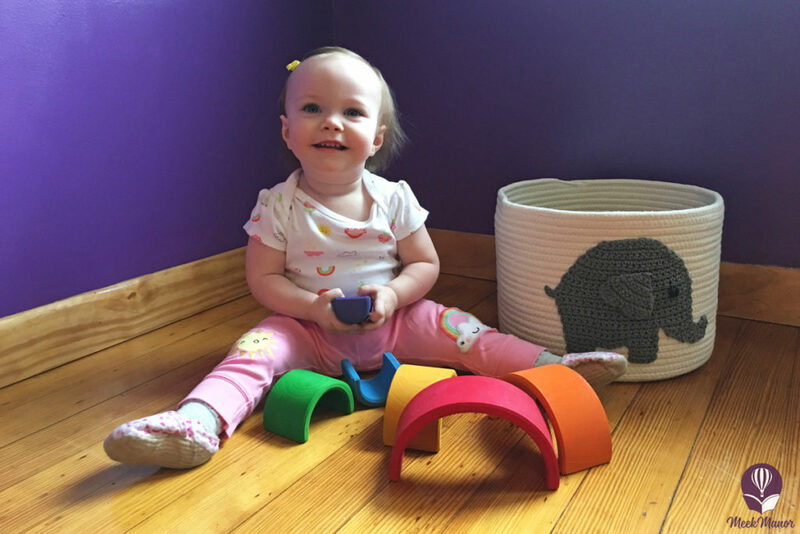 We have three rainbow stackers, and they are some of Stitch’s favorite activities. Each is different enough that they all keep her attention. With these, the obvious skills work includes fine motor, order/sequence, cause and effect, and balance. But, they also add another opportunity for language development. Some of the topics you can talk about with your child include colors and shapes of the different pieces, the process of putting them in order, and other things that are the same color. You can also use them along with other toys for make-believe. We like to use the Grimm’s Rainbow stacker to build walls of a house for some of Stitch’s figures or vehicles. The opportunity for language development is all around, you just have to engage it. See you soon for the next installment of our Favorite Things Series!